"Burning, Stabbing, Throbbing, Tightness, Headaches" are the descriptions that patients tell us when they have neuromuscular pain. Soft tissues including muscles and tendons can become fatigued, tight or injured from: stress (emotional, physical and biochemical), poor posture, work conditions, sports activities or an auto accident. When these soft tissues become tight, weak and/or injured then it could result in pain, restricted range of motion, altered biomechanics, scar tissue or constricted blood flow. 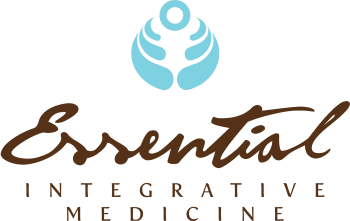 Essential Integrative Medicine's is staffed with highly skilled licensed massage therapists experienced in a variety of techniques to treat neuromuscular pain. We may incorporate massage techniques for muscle pain or more specific advanced manual therapy techniques to decrease restrictions as a result of shortened tissues. The term myofascial means muscle (myo-) and connective tissue (fascia). Fascia is a continuous and thin tissue that covers every muscle and fiber and organ in the body-think of the thin and clear covering raw chicken. The muscles and surrounding fascia can become short and tight causing pain. Therefore, the therapist locates areas of tension and stretches muscle and fascia until it has become relaxed. Swedish massage involves using the hands, elbows and forearms on the superficial muscles with the intent to relax muscles and improve circulation. It is also the most popular in the United States. The technique involves four strokes: petrissage (kneading), effleurage (gliding), tapotement (tapping), and friction (cross fiber). Deep tissue massage focuses on the deeper layers of muscles with the purpose of relieving tension and pain. The massage therapist uses slow and deep strokes applied across the grain of the muscle and connective tissues. What is a trigger point? The term was developed by Dr. Janet Travell, M.D. to describe a hyperirritable area in a muscle that is felt as a hard nodule. Trigger points can cause referred pain to other areas of the body. The massage therapist locates these areas by palpation and applies the correct amount of pressure with the intent to eliminate the trigger points.